Zimbabwean striker is set to undergo a medical test today which may determine his future with Highlands Park. Tendai Ndoro has been training with the Lions of the North for over a week with the hopes of impressing the club’s technical team. The former Orlando Pirates striker has been without a club since parting ways with Ajax Cape Town at the end of last season. Highlands coach Owen Da Gama told Phakaaathi that his meeting with the club’s director Larry Brookstone would decide Ndoro’s fate. 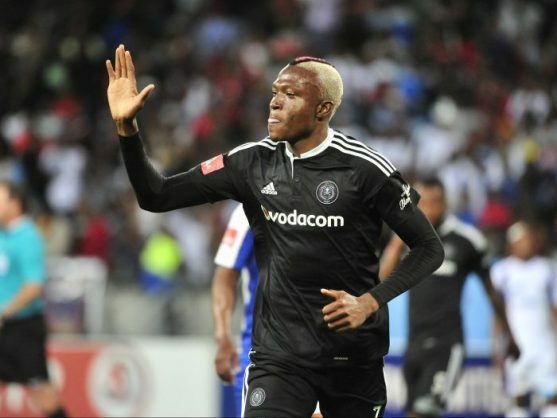 The club’s director Sinki Mnisi has denied reports that the club is close to signing Ndoro. “That question should be directed to the head coach but if I can answer that question on a personal capacity, I would say we don’t need Ndoro. We’ve got four strikers and we don’t need a fifth striker. Our strikers have been banging goals in the NFD. For me, I don’t think we need Ndoro,” Mnisi explained to IOL.